No Call out fee Electrical Problem ? Call Us! Welcome to All Power Electrical Ltd. We are a professional, reliable electrical service that you can rely on. We pride ourselves on consistently excellent service to all our customers, with fixed prices and 12-month guarantees issued by highly-trained electricians that you can trust. We don’t charge call-out fees, and we always check that our customers are happy before leaving. And with our 12-month guarantee on any parts and labour, you can sit back and relax, knowing that your problem has been fixed long-term. As well as emergency callouts, we also provide Electrical Condition Reports (EICR), testing including PAT testing, fuse board work and fitting and partial or full rewires – again, all at fixed prices. This is why we’re also a great choice for landlords and commercial businesses. 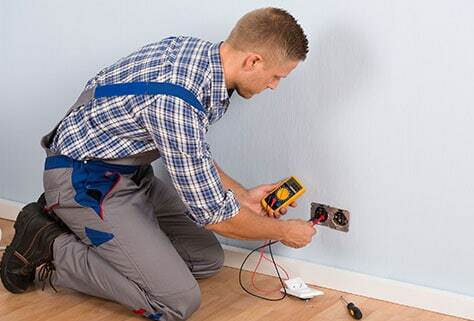 Our electricians are vetted and regularly inspected to ensure that they maintain the same standards that they’ve proven they’re capable of through their examination certificates and experience of success. We have extremely high expectations when it comes to professionalism, politeness and cleanliness too, so you’ll find your home is left clean and tidy after our visit. Our work always meet British Standard BS7671:13 and Building Regulations too. So, take a look at the services that we can provide for you by browsing our site. And remember: we are just a phone call away.